There are currently 20 hedge funds and private equity companies in FL that are hiring new employees. These include hedge fund jobs in Miami, Palm Beach, Boca Raton, and more. For a complete list of more than 140 hedge funds and private equity companies in Florida, along with current hiring status, please see our FL Hedge Fund / PE List. The above are just a few of the more than 20 hedge funds and private equity firms currently hiring in Florida. If you are looking for a hedge fund job in FL, our FL Hedge / PE Fund List is truly an invaluable resource. In addition to hiring status for each of more than 140 funds, you get detailed information on each fund including address. phone/fax, corporate and HR emails, top executives, AUM, # of employees and more all in Excel format. And it’s the only list designed specifically for hedge fund and private equity job seekers! Looking for a hedge fund job in Connecticut? Below is a list of hedge funds in Connecticut that are actively seeking new employees, including in Greenwich, Westport, Stamford, and Wilton. There are currently at least 34 hedge funds in Connecticut that are hiring. The list below is just the first 7. For a complete list of hedge funds in Connecticut, including which funds have available jobs, please see our Connecticut Hedge Fund List. The above list is just a sample of the over 34 hedge fund companies hiring in Connecticut. Download our CT Hedge Fund List today to see all the funds actively seeking new employees or with open jobs. In addition, you get more than 40 categories of information on each fund that is extremely helpful in your job search; basic information like address, phone , and fax, as well as AUM, top executives, HR persons, emails, and more! Each listing also has a category showing whether the fund is actively hiring new employees. Whether you are looking for a hedge fund job in Greenwich, Stamford, Westport, New Canaan or elsewhere in Connecticut, the CT Hedge Fund List is truly an invaluable resource. The partial list of hedge fund and private equity companies above are believed to be currently hiring at the date of this posting. 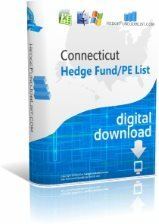 For the complete and most up-to-date list of hedge fund jobs in Connecticut, please download our CT Hedge Fund List . Looking for a private equity job in Connecticut? Below is a list of hedge funds and private equity companies in Connecticut that are actively seeking new employees, including in Greenwich, Westport, Stamford, and Wilton. There are currently at least 34 private equity firms in Connecticut that are hiring. The list below is just the first 7. For a complete list of hedge funds in Connecticut, including which companies have available jobs, please see our Connecticut Hedge Fund / PE List. The above list is just a sample of the over 34 PE companies and hedge funds that are currently hiring in Connecticut. Download our CT Hedge Fund / PE List today to see all the funds actively seeking new employees or with open jobs. In addition, you get more than 40 categories of information on each company that are extremely helpful in your job search; basic information like address, phone , and fax, as well as AUM, top executives, HR persons, emails, and more! Each listing also has a category showing whether the fund is actively hiring new employees. Whether you are looking for a hedge fund job in Greenwich, Stamford, Westport, New Canaan or elsewhere in Connecticut, the CT Hedge Fund / PE List is truly an invaluable resource. The partial list of hedge fund and private equity companies above are believed to be currently hiring at the date of this posting. For the complete and most up-to-date list of private equity jobs in Connecticut, please download our CT Hedge Fund List. Remember, many of the companies in our list marked as “hiring” may not be posting open jobs on job sites. They may be relying instead on recruiters, head hunters and referrals. Contact these companies directly with your resume and you may have a distinct advantage over your peers relying on job-boards and swamping HR people with yet another application. WR Capital Management is a hedge fund company based in Stamford, CT and is led by its Chairman, Walter Raquet. Their primary investment strategy is Long/Short. WR Capital Management has $250 million in assets under management and has 12 employees. The company was founded in 2004. Value Recovery Capital is a hedge fund company based in Stamford, CT. Their primary investment strategies are Distressed Assets and Credit.